8:50:00 PM is it just me or does the pic of this on the site look fairly well hung? 8:44:00 AM Puts you on eye level with most Rancors. Very fun. 8:29:00 AM Mission lairs are very easy to get, especially on the east side of Corellia. 6:57:00 AM they are really pretty common in Talus, they're just local... you can find them in the south east area I think..
11:01:00 AM Forgot to mention: (1441x3767) location was on Corellia. 10:56:00 AM Finally found a baby. The Talus locations just spawn an adult. He just pops out of nowhere and roams around. Found a lair at (1441x3767) by luck. Took out a 5 of the adults, then two babies spawned. Happy day. 7:29:00 PM These are the largest mounts in the game. People are awed when you ride one of these around. 10:05:00 PM You have to remember that different servers will have different spawn points for each lair etc.. so the co-ords posted may not be valid on your server where they might on another. If you get what I mean. However I concurr, these are great pets. Bought one for 12k today. 3:49:00 PM Found a couple of adults plus 1 baby whilst GSP searching. 9:53:00 AM Just found one today about 1600m from the Agrilat Swamp waypoint. 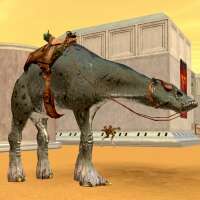 9:21:00 AM I found one within 150M of teh Agrilat Swamp waypoint on Corellia. 1:41:00 AM I've crisscrossed the surface of Talus for the last week, and haven't spotted a single one of these. Can anyone confirm a sighting recently, on either Talus or Corellia? 6:22:00 AM I found a baby when I was following the waypoint posted for minor sludge panther. He was easy to tame and fun to ride! Amazing thing about this pet.... when I call him out, he always sleep then stands up. It can be quite hilarious. 11:58:00 PM these sighting locations do not seem to be valid. Have these become more rare as they are mountable? 7:55:00 PM Yes, these are the largest creatures that can be mounts. I've seen someone ridinge one, and I recently purchased one. A person riding one of these is about 5 or six times taller that a person on foot. 6:41:00 PM Makes for a very large mount, the highest I believe.